NEW YORK — It's been a busy week for Tallmadge native Micah Herndon. 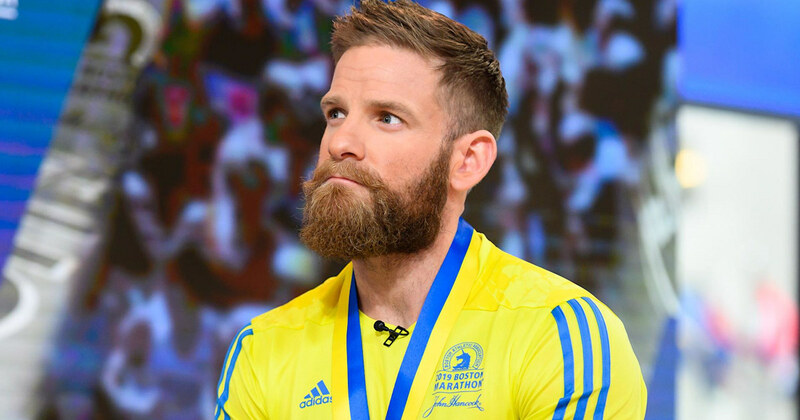 He ran the Boston Marathon Monday and was a viral hero by Tuesday morning. Come Wednesday, he was on NBC's "Today Show" to talk about his experiences. All that in a span of three days, and he says his legs still haven't recovered. Herndon became the subject of viral photos and video as he was seen crawling across the finish line during Monday's Boston Marathon. His legs gave out but he continued on all fours in honor of three of his fallen comrades. Herndon still considers himself a rookie long distance runner, but says running has become his therapy. He opened up to Savannah Guthrie and Willie Geist about his PTSD and survivor's remorse, which is why he continues to pay tribute to his fallen friends. He even wears their names, Ballard, Juarez and Hamer, on his shoes and hands. "It's my getaway. It helps me cope with me being deployed over in Iraq and Afghanistan. It's my release. I just get up and go. It's how I get away from everything," Herndon explained. "Those are my battle wounds and those are my scars and I'm not afraid to say that," he added. "I know countless veterans all over the world, they have those issues, too, and I'm not ashamed of that." 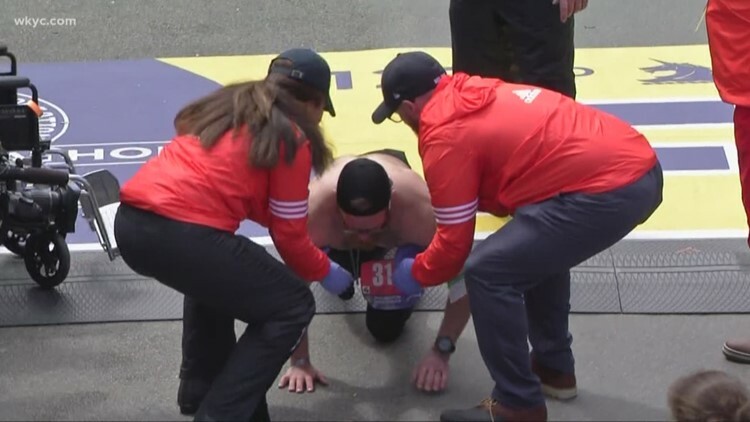 Micah Herndon, a U.S. Marine veteran who ran the 2019 Boston Marathon to honor the legacies of three men he served with, recalls mustering the strength to crawl across the finish line. "Coming back home is a hard transition for all veterans," he says. "You got to find a release, and my release was running."